In the wake of U.S. President Obama’s speech on jobs last night, we present this mapping of Recovery Act spending. Development Seed, the same folks who mapped the famine in the Horn of Africa, have turned their attention on America. Inspired by FlowingData’s post, I mapped world gas prices by gallon in U.S. dollars. Gas is most expensive Turkey ($9.69) and The Netherlands ($9.01), where my mother in law lives and drives. It’s least expensive in Venezuela (9 cents) and Saudi Arabia (61 cents), two oil-rich states that surely subsidize the cost for locals. The Bronx. Queens. Fort Bend? 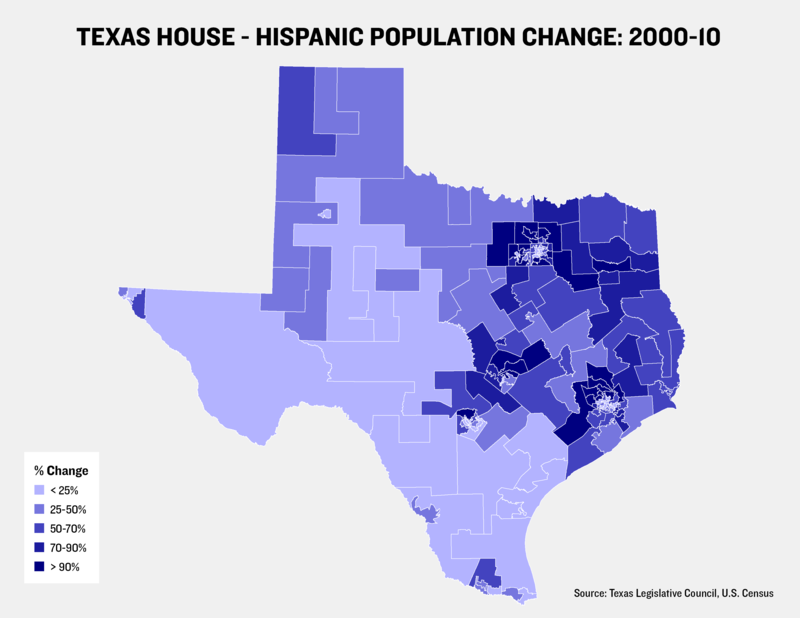 Texas now has some of the nation’s most diverse counties, according to an index created by USA Today to analyze U.S. Census data. 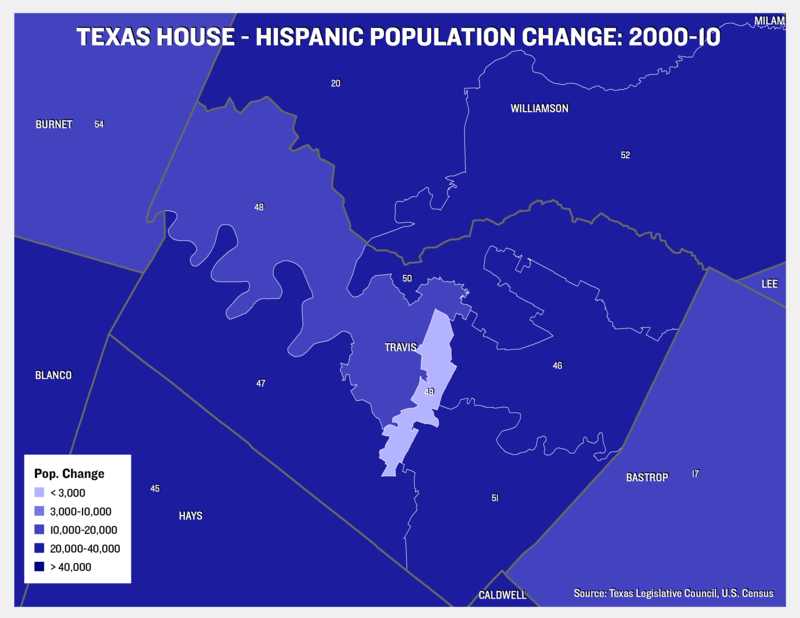 Nine Texas counties make the list of the 40 most diverse counties in the country, according to the analysis. 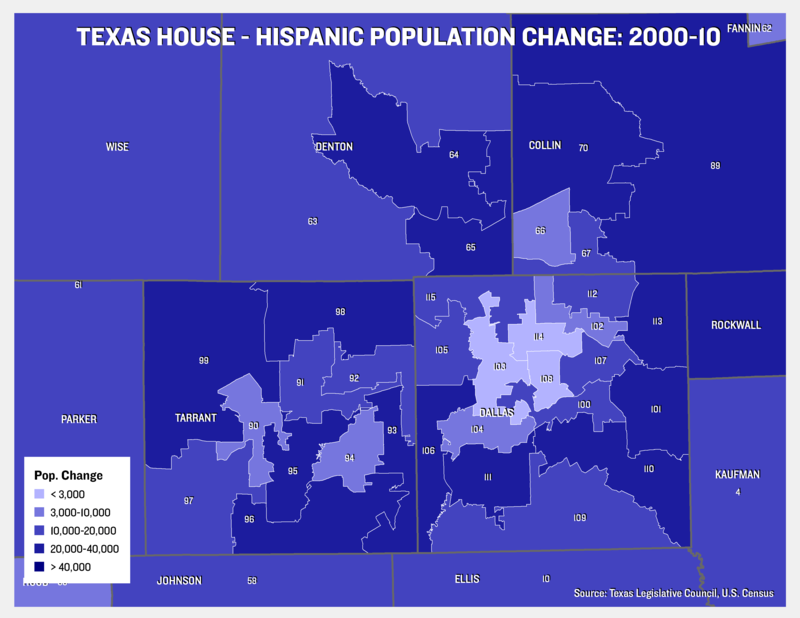 Fort Bend County, outside of Houston, comes in fourth, trailing Bronx County and Queens County in New York, and Hudson County, New Jersey. The index calculates the probability that two people chosen at random from a county would have different races or ethnic orgins, setting a 0 to 100 score. Texas’ overall score in 2010 was 46, according to the index, below the national score, which was 55. 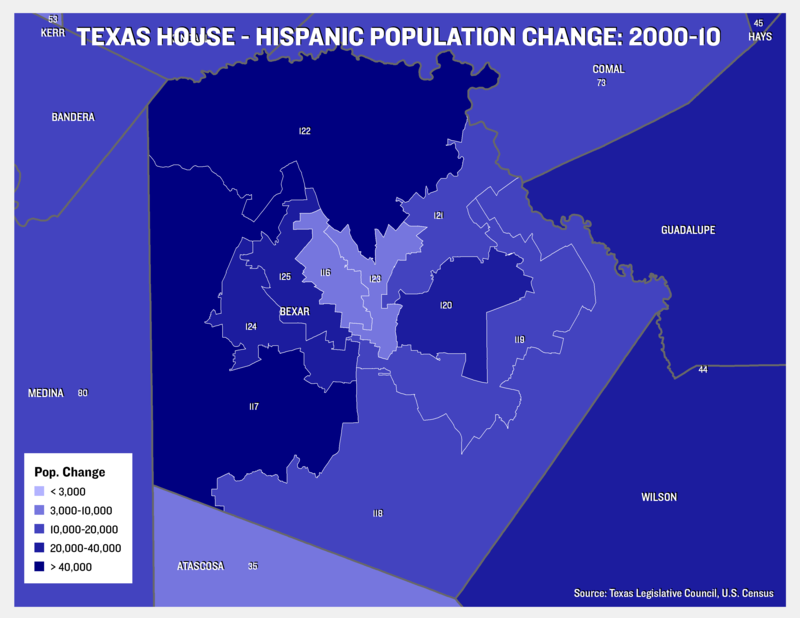 Both increased from 2000, with Texas’ up from 42, and the nation as a whole up from 49. 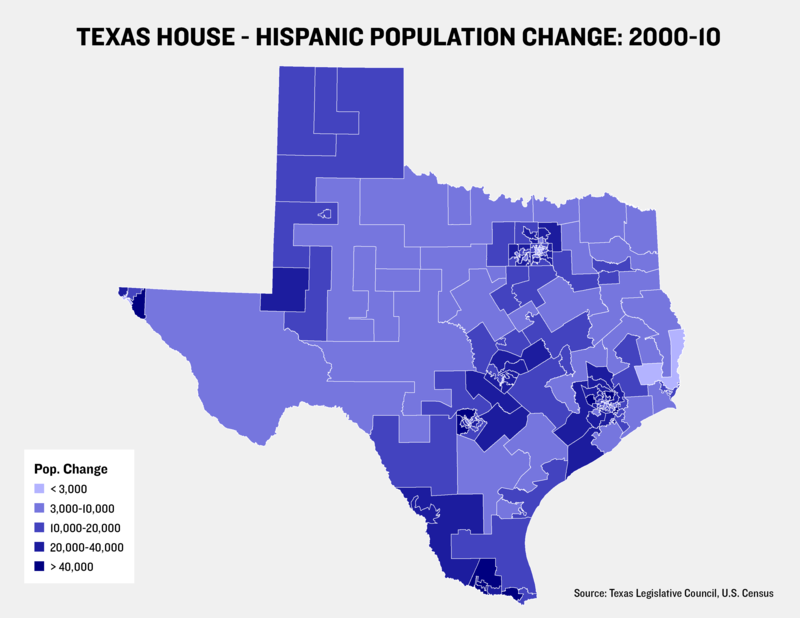 Even though Texas’ score is below the national figure, nine of its counties are in the top 40 out of 3,141 across the country. 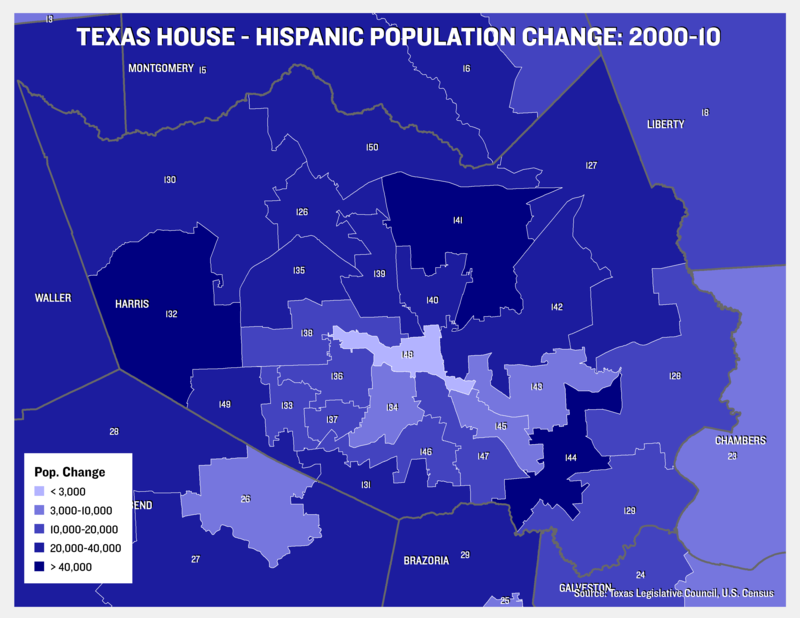 Leading the way is Fort Bend County, which has a large Asian population, and a score of 75.2. (Whites represent about 50 percent of the population there.) 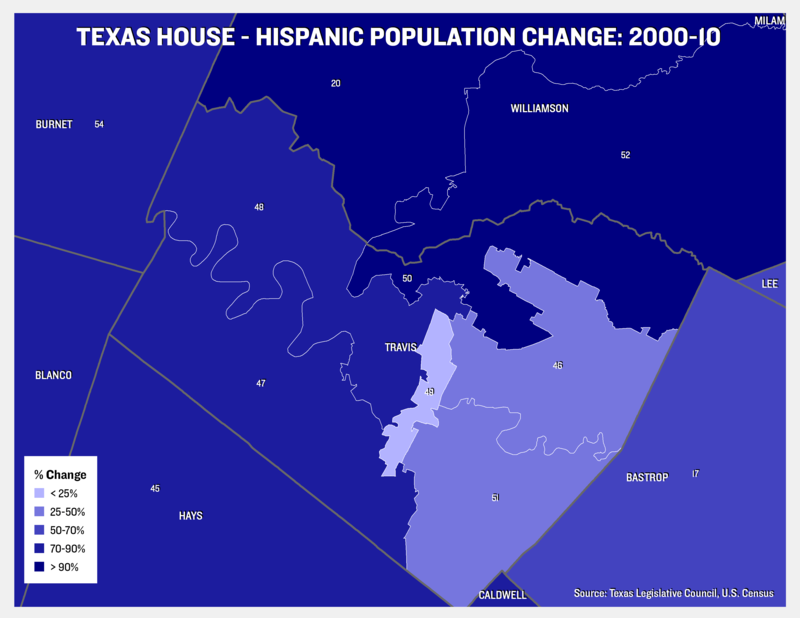 Other Texas counties high on the list were, in order, Waller, Jefferson, Bell, Potter, Travis and Matagorda. Let us know if you have feedback or ideas for other data-related content, and be sure to follow @TribData on Twitter for updates. The U.S. Census Bureau today released redistricting data for the District of Columbia, a city that at first glance remains quite segregated — at least in terms of where people live. 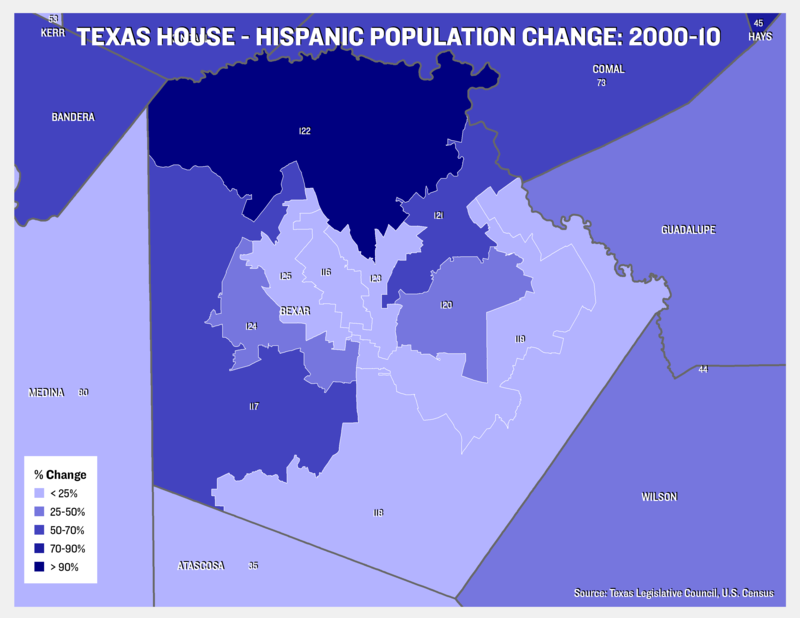 These quick maps visualize the percentage of black residents by census tract in 2000 and in 2010. Now for 2010. 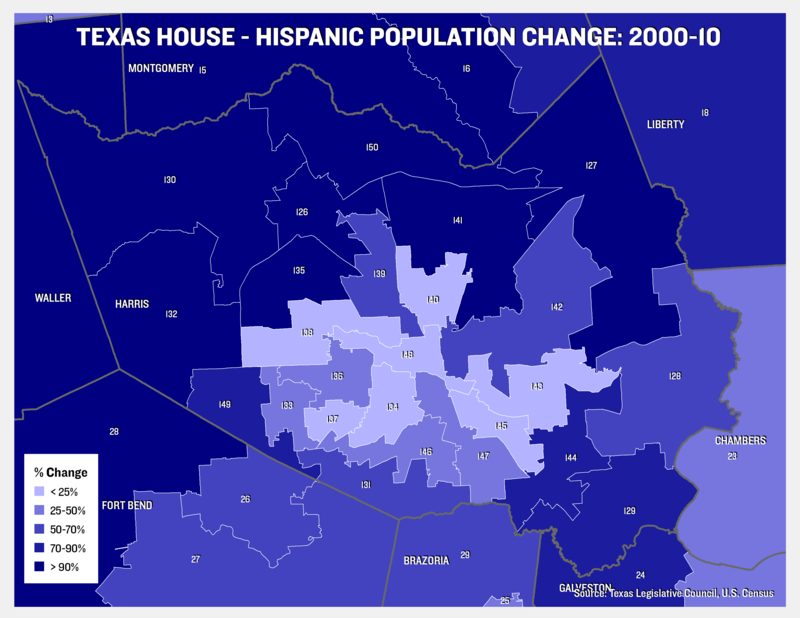 Notice that some neighborhoods are becoming more diverse, but not that many. Fewer than I expected, actually, given all I’ve heard about gentrification in D.C., where I moved last week. 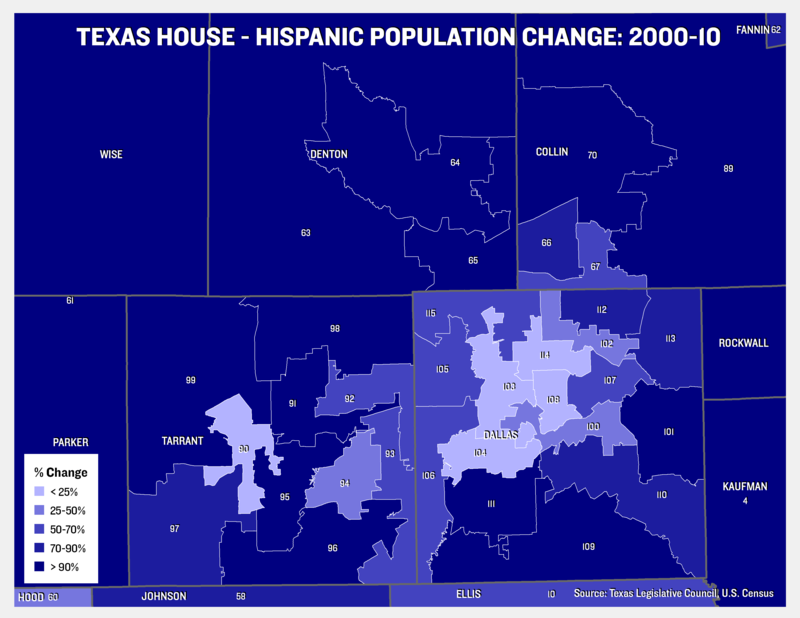 I built a bunch of static maps today to visualize the Hispanic population change in Texas House districts. We’ve decided instead to create an interactive version, and I didn’t want that work to go to waste. (Click images to see larger versions).